Im back with another Giveaway, you just gotta share the Love people! 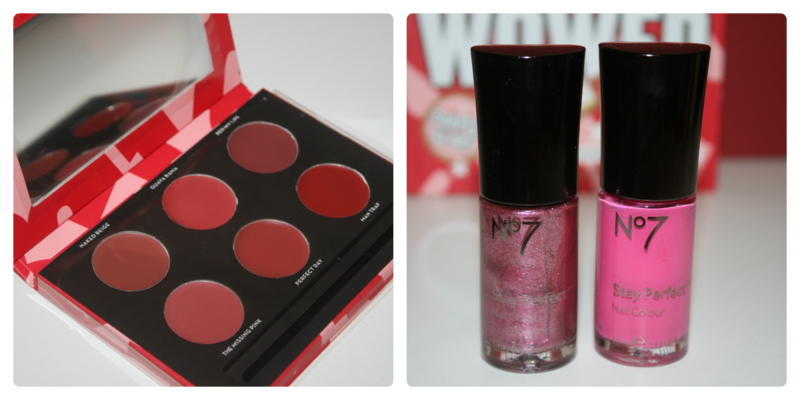 There is also 2 Boots No.7 Nail polishes in 'Milan (Left) 'Me Me Me' on the right. Open to anyone in the world. And i will need your email address to contact you. 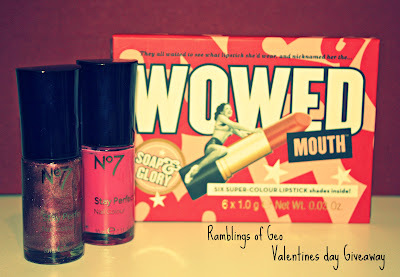 Winner will be notified on the 28th Feb! I love all the chocolate! I love surprises and gifts from my husband. Dedicated a day to each other, love, promises, time and most of all our own self. I love spending time with my mister, watching Valentine themed horror movies, and all the chocolate I can eat.